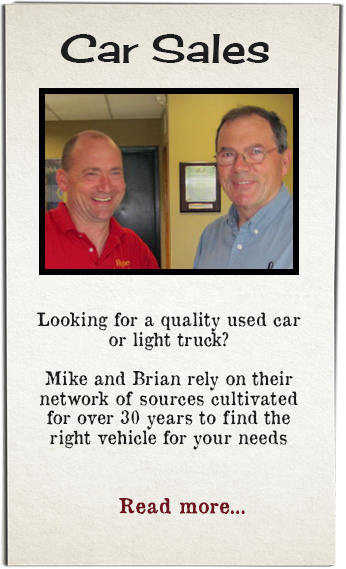 Brian Hughes founded Hughes Automotive, Inc. in 1975. He developed his his mechanical interests while growing up on a dairy farm in central Wisconsin. He worked at an automotive dealership while earning a bachelor’s degree from St. Mary’s in Winona. Brian’s belief is that every customer should receive quality service, honest advice and both at a fair price. That creed has become our shop’s motto! 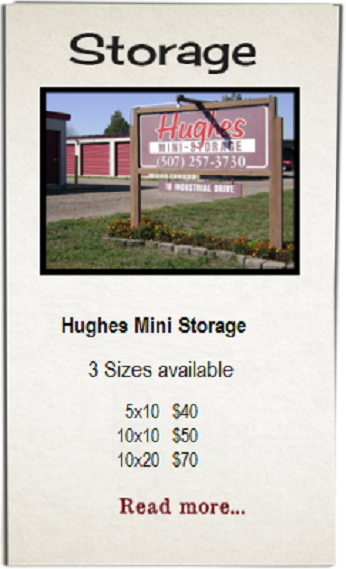 Mike Hughes acquired his father’s love for automotive repair at the age of 5. He is always looking for ways to improve the family business as well as embracing the challenges that the ever changing automotive industry presents. 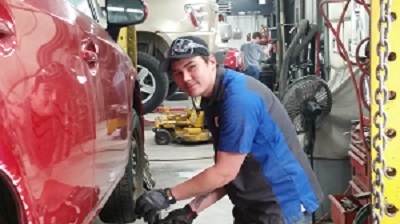 Mike graduated with a degree in Finance from Minnesota State University of Mankato and is an I-car platinum certified collision repair estimator and technician. 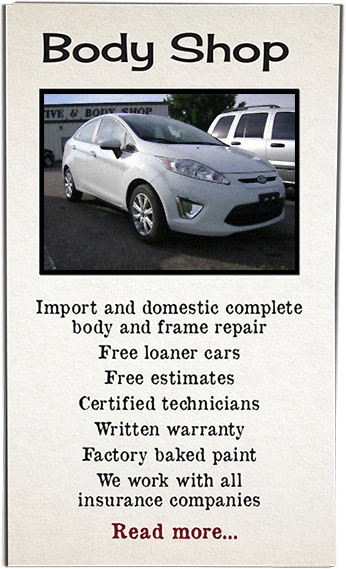 If you need an auto body estimate or are interested in purchasing a vehicle, Mike is the person to contact! 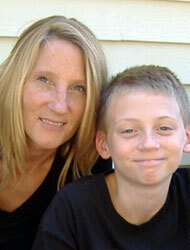 Marie Long is our Office Manager as well as one of our Service Writers. 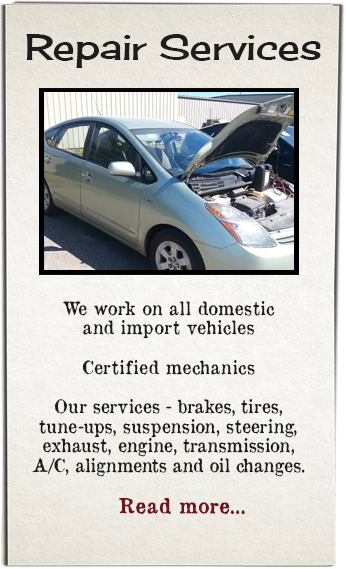 In addition to managing the financial side of our business, she also is extremely knowledgeable about what it takes to diagnose as well as repair your vehicle’s mechanical problems. 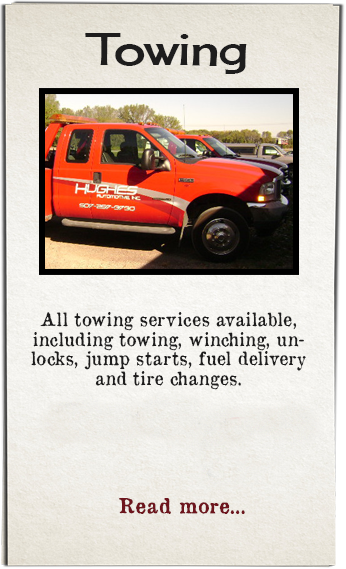 She has been with Hughes Automotive, Inc. since 1999. 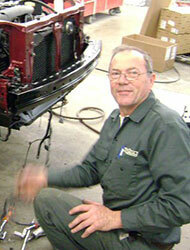 Joe Long is Hughes Automotive’s electronics “guru” as well as our primary Service Writer. Joe (like his wife Marie) is happy to explain each phase of your car’s repair so that you have an excellent understanding of what is being done and why. He is also an avid goose, duck, and deer hunter. Joe has been with us since the fall of 2000. 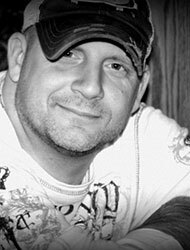 Steve Garvin is an auto body specialist with a passion for perfection. He ensures your car will look like new after that fender bender! He graduated from Western Iowa Technical College as well as being certified by Akzo Nobel Paints for refinishing. 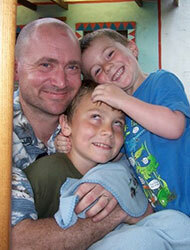 Steve has been with us since 1990. 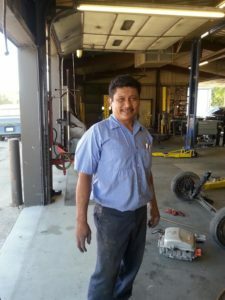 Pedro Zamarripa has over 15 years of experience and is a GM and Kia certified technician. Pedro loves spending time with his children and playing soccer. Nathan is our newest member. He comes to us from South Central Technical College with a degree in auto body specialty. He has a passion for rebuilding cars. In his free time he love gaming.